In most cases apart from voluntary work, people exchange their work to different employers in anticipation of getting compensation. On top of this, employees can also get some benefits from their employers. Whilst compensation and benefits are two terms that are often used interchangeably, it can be noted that they are different since they do not refer to one thing. The main difference between compensation and benefits lies in the aspect related to monetary value. Compensation refers to pay or the exchange in monetary terms of the work performed by the employee and is paid by the employer. This can be in the form of wages, salary or tips. On the other hand, benefits refer to the exchange in value to the employees as part of their packages for the work that has been performed. In other words, benefits do not involve money but are presented in form of value. 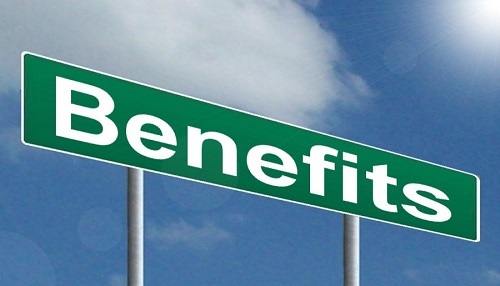 However, there are also other key factors that differentiate compensation from benefits. Compensation refers to all forms of pay to employees arising from their work and this is offered in monetary value. There are various key features that differentiate compensation from benefits. Some of these features determine the level of compensation one gets for his services rendered to the organization. Some companies offer basic salaries as compensation to their employees. People who belong to the same grade get equal basic pay. However, people who have high qualifications and are in possession of advanced skills and experience often get higher pay compared to their counterparts with lower levels of education as well as experience and skills. There are different types of compensation plans and some are performance based. For example, pay can be adjusted to reflect some performance measure and that can be individual productivity, work group or departmental productivity. This can also involve unit productivity or overall organization’s profit performance. In most cases, annual performance bonuses based on corporate profitability are also used as performance based compensation strategies for senior executives. Alternatively some companies offer their workers compensation that is based on piece- rate plans where they do not get a base salary and are only paid for what they have produced. This is also known as commission based compensation in other circles. This applies to vendors in particular where they get a certain percentage of the total revenue they generate per day. It is like the more revenue you generate, the more money you earn. Therefore, no sales no pay for the day. Some companies prefer to pay their employees on monthly basis while others can choose either weekly or fortnight payment days. Some companies calculate the pay for their employees on an hourly basis. Aspects such as experience as well as levels of qualifications are mainly used to determine the compensation rate for each employee within the organization. Compensation is very important in the organization. It is specifically designed to attract as well as to retain talent within the organization. It also focuses on utilizing employee energy to gain competitive strategy while at the same time trying to control costs at desired levels. Attractive compensation helps to improve job satisfaction among the employees. This is advantageous to the organization since this leads to low absenteeism and low turnover since satisfied workers are willing to stay in their respective organizations. During the current period, it can be noted that employees expect to earn extra apart from cash alone. This is known as benefits and some people prefer to call them fringe benefits and they are non-monetary form of compensation. Benefits are offered on top of the cash pay to the employees in a bid to improve the welfare of the employees as well as to motivate them. There are different types of benefit packages and employees have the opportunity to choose benefit packages that suit their needs. Some benefits are required by law and these include sick and holiday pay as well as unemployment compensation. On the other hand, it can be observed that employees can choose their desired benefit packages from the following: vacation, health insurance, company housing, subsidized meals as well as educational funding for children. In some cases, benefits depend on one’s level within the company. Workers receive benefits regardless of their performances. In other words, benefits are not performance based but membership based. The other notable aspect about employee benefits is that they usually do not affect the performance of the employees though in some case they can lead to low satisfaction and lead to absenteeism and ultimately turnover if they are insufficient. Care should be taken when designing the benefit package since this can impact the employees if the benefits are not satisfactory. It is also important to consider associated costs. Benefit plans are specifically designed to fulfill the needs of the employees and they are also oriented towards the overall objectives of the organization. Some of the goals of offering employee benefits include the following: improve employee satisfaction, attract new employees as well as to satisfy the employees already working within the company. Compensation and benefits are somehow related but upon closer analysis, these two concepts are different. Some of the major differences between benefits and compensation are summarized below. Compensation is monetary value paid to the employee for work done. Benefits are non monetary and they are an indirect form of compensation offered on top of cash pay. 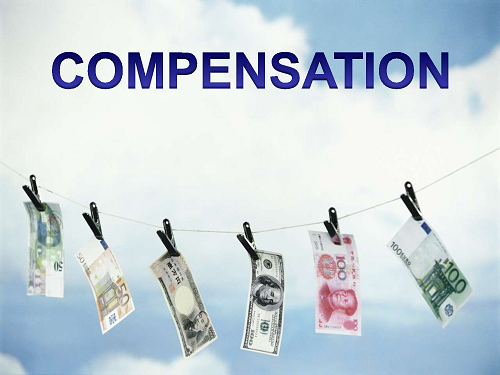 There are different types of compensation and they include the following: basic compensation offered on weekly, fortnight or monthly basis. The other type is commission based compensation which is determined by level of revenue generated from sales of a particular commodity. Some forms of benefits are required by law such as unemployment compensation, sick as well as holiday pay. Employees can also choose desire benefit package from health insurance, vacation, subsidized meals as well as company housing among others. Compensation is performance based. This can be based on individual, group or organizational performance where employees are given bonuses for outstanding performance. Benefits are not based on performance but they are membership based. The employees are entitled to their benefits regardless of performance. Employees cannot determine their own salaries. Factors such as level of qualification and experience are often taken into account when determining the level of compensation awarded to a specific individual within the company. On the other hand employees can choose their benefit packages as they see fit since they are the ones who know what they exactly need. Compensation is meant to attract as well as to retain employees within the organization. Skilled employees should offered lucrative pay in order for them to remain in the organization. Benefits on the other hand are meant to improve employee satisfaction, improving their welfare as well as motivating them so that they can improve job satisfaction. All these factors are good for the employees since they stay for long period in the organization. In conclusion, it can be stated that benefits and compensation are somehow related since they have something to do with compensating employees in particular for the work performed. However, as discussed above, these two concepts are different. The main difference between the two is that compensation is monetary based while benefits include other gains that are non monetary. Compensation itself is performance based and it is designed to attract as well as to retain the already existing employees in the organization. In contrast, benefits are membership based and employees are entitled to them and employees can choose their desired benefit package. Benefits are also designed to improve job satisfaction as well as to motivate the employees within the organization to improve their performance. Trevor Mark. "Difference Between Compensation and Benefits." DifferenceBetween.net. August 29, 2017 < http://www.differencebetween.net/business/difference-between-compensation-and-benefits/ >.